Shirley E. Born, 82, 10 Wilmington Ave., Dayton, Ohio, formerly of Sidney, Ohio died at Miami Valley Hospital, Dayton, Ohio on Monday, June 18, 2007 at 9:05 AM. She was born November 20, 1924 in Dayton, Ohio, the daughter of Henry and Mary (Woodall) Born. She moved to Sidney in the 1950&#39;s from Dayton, Ohio and married James Born in 1955. He died in 1985. Surviving are one son, Mike Born and his wife Vicky of Columbus, Ohio and one grandson, Nathan Wade and one brother, Dale Woodall and wife Joyce of Florida. Two brothers, Richard and Jim Woodall are deceased. Mrs. Born was a graduate of Wilbur Wright High School in Dayton, Ohio. She was an active volunteer; a member of the Sidney American Legion Ladies Auxiliary; very active and a life member of the First Baptist Church, Sidney and a current member of the Belmont Methodist Church, Dayton, Ohio. She was a homemaker. 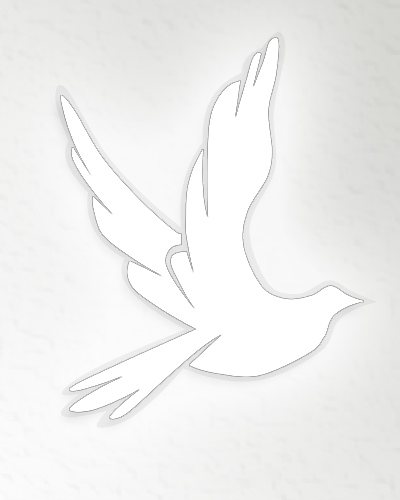 Funeral services will be held on Friday, June 22, 2007 at 11:00 AM at Salm-McGill and Tangeman Funeral Home with Rev. George Gnade. Burial will be at Graceland Cemetery, Sidney. Friends may call at the funeral home from 9:30 AM until 11:00 AM on Friday. The family invites everyone to the American Legion in Sidney for lunch following the committal service at the cemetery. Memorial contributions may be made to the American Legion Ladies Auxiliary, Post 217, 1265 Fourth Ave., Sidney, Ohio 45365 or to the charity of one&#39;s choice.